With the holiday season on one side of the year and the favourite time of year just a few months away, the month of Christmas, New Year Eve. The vacation time waiting for you to explore the best unseen and happening places around the globe. December is coming your way, so start planning to make your trip memorable in this vacation, while you think in your space, we’ll provide you with the top 10 exotic places to visit this vacation and have your life enjoyed in the best way it can be! One of the beautiful place and the considered heaven on this earth, California is surely a place to bet your money on and to make the winter even more surprizing and cheerful, the Lake Tahoe with snow filled and a white scenic beauty will mesmerize the Christmas even more. The glittering light display accompanied with the pine trees full of snow is surely a paradise to go for. You can also enjoy various ice sporting events such as sledding, snow mobiling and ice skating trip. The top destination for vacations and the country popular for its beauty and the number of tourists coming to see their man-made beauty, yes you are guessing it right, we are talking about Singapore. The beautiful country with the cleanest places to visit and the attraction Universal Studios located in the middle. It is surely an ideal place to visit this Christmas because of its lightings, beauty, sightseeing and celebrations all around. Get your tickets booked and taste the glimpse of finest hotels across the world. The beautiful fall on the earth which is one of the most popular places to visit across the globe, it isn’t either the largest fall neither the widest fall but still it is the biggest fall on the earth mainly because of the combining height and width. The water straddles between the border of Zambia and Zimbabwe. Both the countries are paying heavy importance to the visitors comfort as it is one of the major tourist attractions for both the countries. The city popularly known as the “Vegas of the east”, Macau is surely a place if you love hanging out with friends and want to enjoy the nightlife on this Christmas bash. It is known for its clubs, casinos and the outstanding lightings. It also consists beautiful sandy beaches and the main attraction is the New Year party which is generally hosted by the collaboration of number of clubs all together. If you want to visit a place where the celebrations are made in dignity, style and most importantly with tradition, Kerala is surely the biggest attraction for the visitors across the world. With the beautiful beaches, traditional cloths and the high amount of festive celebrations all across the year, Kerala is the place to see. So, visit across the beautiful highways and take your cruise for the Kochi Harbour. This is for all the adventure lovers, we present you the Adventure Sports capital of New Zealand, Queenstown. It has got everything present for the adventure whether it is related to sky or water, the place is beautiful and filled with joy and fun. Whether it is Bungee jump, sky diving, underwater rafting or any horrifying adventure, the city is full with sports and in the December, there is also a country’s biggest festival named Summerdaze. 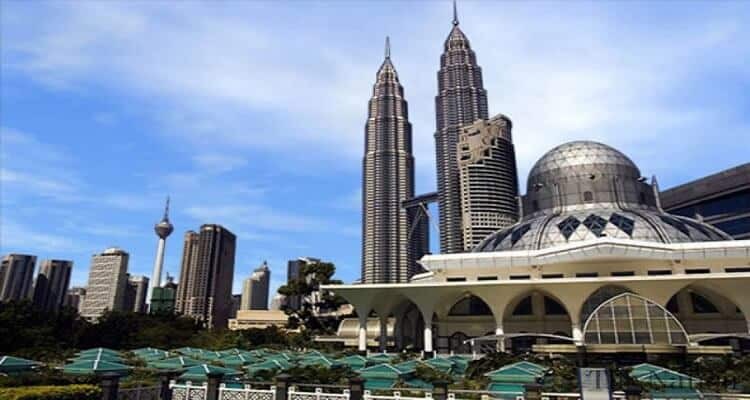 Malaysia has been the tod destination places for all the visitor across the globe, economical place with beautiful weather and nature and with great hosting is surely be the top places on wishlist of dream places. The place to see diverse animals in beautiful forests such as Taman Negara Rainforest and unmatchable plantations, Malaysia is a paradise for everyone. Visit the place and do not forget to visit the capital, Kuala Lumpur. One of the biggest countries in the world and surely with the most number of attractions lying in one country, Australia is here on number 3 spot. The capital for South Australia, Adelaide, is a city filled with various genres of festivals. The Adelaide Fringe festival and WOMADelaide are the top known festivals of the entire country full of music, arts and culture. Here is the city which might leave you in a dilemma because of its complicacy and fascination altogether, Palestine is on number 2 spot. The city combines religion of Christianity, Islam and Judaism. The city is full of various historical sites which attracts the visitors from all over the world, the city also comprises various monuments build with great architecture. On number 1 spot, we have city of “The Hangover”, Las Vegas, and dream place to visit for all the youngsters. The city is known for partying, nightlife loaded with the biggest casinos and the gambling as the top profession in the city. This is the ultimate place for fun, enjoyment and blowouts. What makes this place even more interesting is the nylon lighting which glitters magnificently and the city always looks in the mood of festival. So, these are top 10 exotic places across the world. Many of these are dream places to visit, so get in your socks and have your rooms booked in the beautiful places around the globe.